Hugh Montgomery is a Professor of Mathematics at the University of Michigan. Larry Niven (left) is the Hugo and Nebula Award-winning author of such classics as "Ringworld, The Integral Trees", and "Destiny's Road". He has also collaborated with both Jerry Pournelle and Steven Barnes on "The Legacy of Heorot, Beowulf's Children", and the bestselling "Dream Park" series. He lives in Chatsworth, California. Sy Montgomery is a naturalist, author, documentary scriptwriter, and radio commentator who writes for children as well as adults. Among her award-winning books are "The Good Good Pig, Journey of the Pink Dolphins", "Spell of the Tiger", and "Search for the Golden Moon Bear". She has made four trips to Peru and Brazil to study the pink dolphins of the Amazon; and on other expeditions, she was chased by an angry silverback gorilla in Zaire; bitten by a vampire bat in Costa Rica; undressed by an orangutan in Borneo; and hunted by a tiger in India. She also worked in a pit crawling with eighteen thousand snakes in Manitoba; handled a wild tarantula in French Guiana; and swum with piranhas, electric eels, and dolphins in the Amazon. Research for this book included travel to China and Mongolia to see the latest discoveries of giant bird fossils, and to Australia to see the most dangerous birds in the world. She lives in New Hampshire. 1. 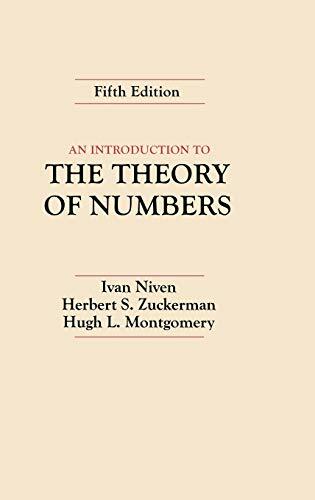 An Introduction To The Theory Of Numbers, 5Th Ed. 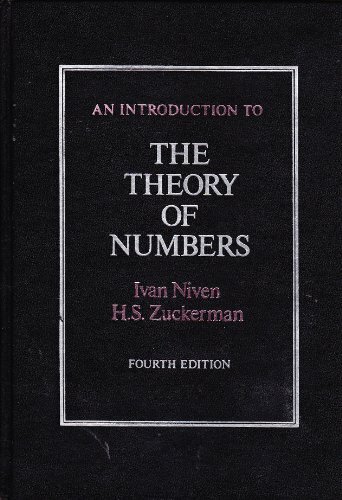 Niven, Ivan; Zuckerman, Herbert S.; Montgomery, Hugh L.
3. 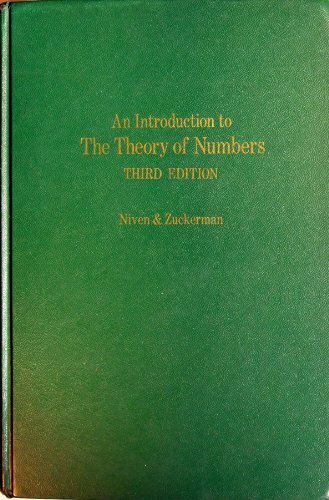 An Introduction to The Theory of Numbers, 5th ed.